We have carefully crafted three great fragrances for men, The Urban Man, The Hunts Man and The Gentle Man. 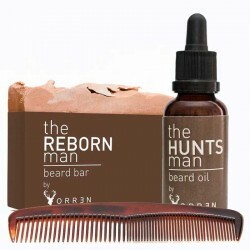 Finally for the sensitive skin, we have crafted The Reborn Man, a fragrance free beard oil and soap. Snip, Snap and Bob's your aunt sounds easy enough, however trimming a beard can get far more complicated. At ORREN Lifestyle we have all the tools you need. Scissors, combs, brushes. You live in the city but you LIVE outdoors. An adventure is always around every corner, we believe that. At ORREN Lifestyle we have gizmo's that can make that adventure a reality. Being a man is far more than just growing a beard? at least so they tell us. At ORREN Lifestyle we got your back... Jack. Wallets, knives, bracelets key rings, gadgets and outdoor thingy-ma-bobs are just some of the lifestyle products to compliment that magnificent beard of yours. 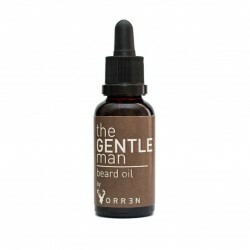 The Gentle Man Beard Oil. 30ml of Hand-Crafted Goodness. Classical Honesty. Apply a Rand coin size amount to beard. Test for allergens before use. 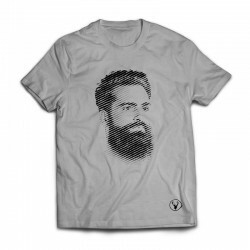 Be the Man, be the Face, be the Beard. Printed in our own custom ink on a various coloured fabrics fabric. This simple tee is made from 100% cotton offering a relaxed fit while you are doing what you do best. Being Awesome. 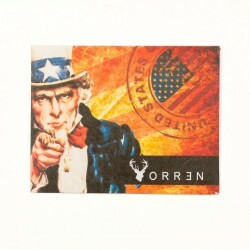 Our "American Made" themed Slim Wallet... Ultra slick, ultra modern, ultra thin. Yup that's our brand new wallet.A comfortable minimalist wallet that's only as thick as the contents inside. 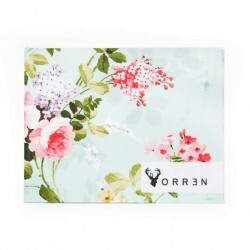 Our "Artist Floral" themed Slim Wallet... Ultra slick, ultra modern, ultra thin. Yup that's our brand new wallet.A comfortable minimalist wallet that's only as thick as the contents inside. Our "Retro Floral" themed Slim Wallet... Ultra slick, ultra modern, ultra thin. Yup that's our brand new wallet.A comfortable minimalist wallet that's only as thick as the contents inside. 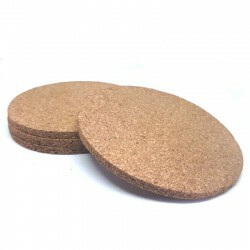 This classic, simple set cork coaster set complements almost any decor. Set includes 4 natural cork coasters providing a soft landing for glasses and cups while protecting your furniture from messy drips. A Humble Restart. A soap bar for your beard, your hair, oh hell, it's really good for your entire body. 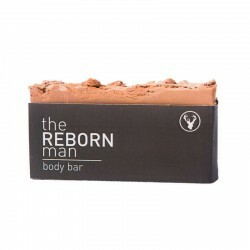 This bar is part of our "The Reborn Man" Collection. This means there are no essential oil fragrances added to the product. 100g or 200g of Hand-Crafted Organic Goodness. 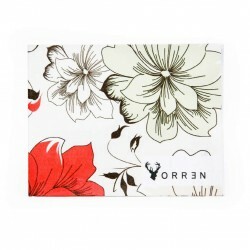 Our "Vintage Floral" themed Slim Wallet... Ultra slick, ultra modern, ultra thin. Yup that's our brand new wallet.A comfortable minimalist wallet that's only as thick as the contents inside. 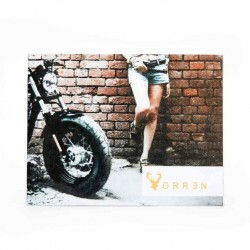 Our "Biker Babe" themed Slim Wallet... Ultra slick, ultra modern, ultra thin. Yup that's our brand new wallet.A comfortable minimalist wallet that's only as thick as the contents inside. It can be pretty overwhelming when you are new to the beard grooming game. We've put together this starter kit to provide the basics needed to give you the best looking beard. The kit includes a beard oil, beard & body soap and a pocket comb. We ship Nationwide in South Africa using Postnet to Postnet services. Free delivery for orders over R500.00. We are always a simple Email or call away. Should you have any queries on sales, service or product, pop us an email or give us a call. All transactions are handled by our Uber secure payment partner, Payfast. We do not hold any Credit Card record on site at all. Back in the winter of '16, we had a vision for men, their life, their fashion, their homes, basically the man and his environment. We wanted men to change the way they see the world around them. Give them an expression of themselves which they could be proud of. 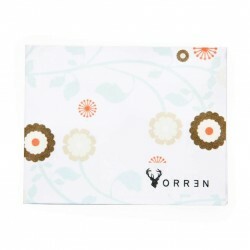 At ORREN Lifestyle we are about fashion, gadgets, grooming and accessories for the modern man and the world around him. NUFF SED Now Man Up!